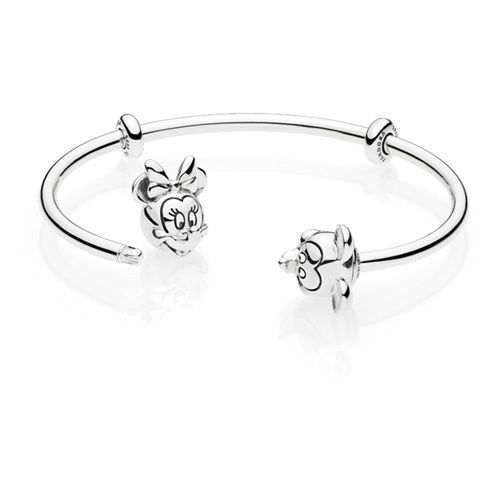 Wear iconic Disney characters on your wrist with this sterling silver open bangle. Detailed with interchangeable Mickey Mouse and Minnie Mouse end caps, it's the perfect piece for Disney lovers. All sizes of this item are currently on backorder. Order online now for future delivery or call 1-877-242-1706 to place a special order. Credit cards are never charged until the item ships from us.